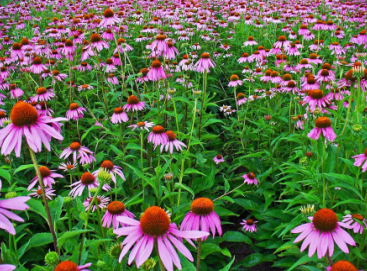 Echinacea purpurea is an herbaceous perennial up to 120 cm (47 in) tall by 25 cm (10 in) wide at maturity. hermaphroditic, having both male and female organs in each flower. Storage: Store in a well-closed container away from moisture.